Hayward Manual Three-Way Ball Valvescome standard with a two port TW ballallowing for three flow configurations within180?of rotation. 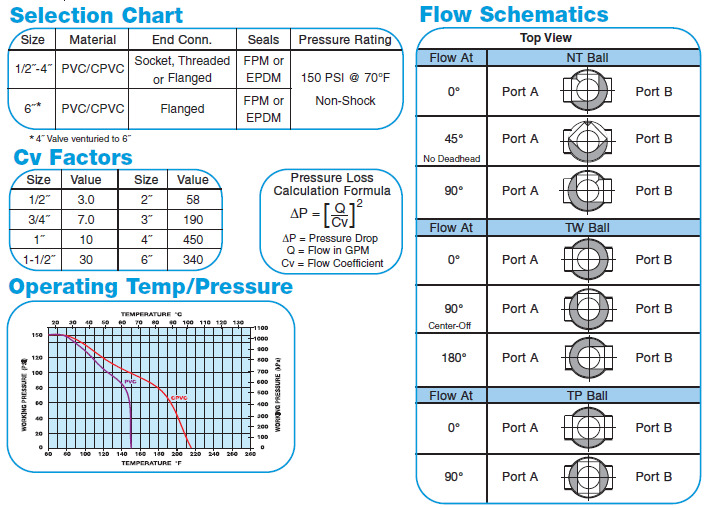 With the bottom port as theinlet, the flow can be directed out the leftport, out the right port, or shutoff. 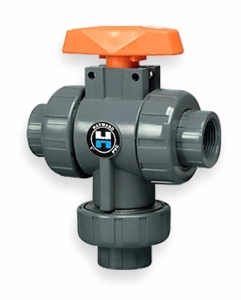 HaywardActuated Three-Way Ball Valves come standardwith a three port NT ball allowing fortwo flow configurations within 90?of rotation.With the bottom port as the inlet, the flowcan be directed out the left port or right port,there is no shutoff position. 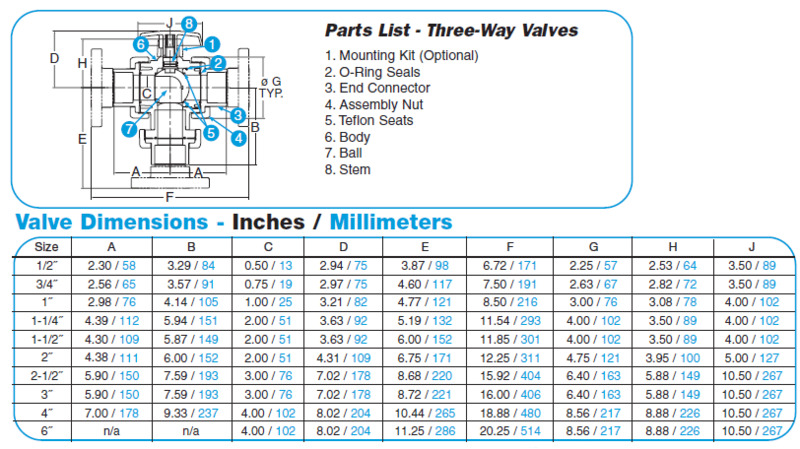 A TW ball,used with the proper electric actuator, addswhat is typically called a center off positionto the NT flow pattern of actuated valves.An optional TP ball, used with either manualor actuated valves, allows flow throughall ports at the same time or flow shutoff.